Mother dearest, I await your favorable answer, Submitting myself to the Divine will of the Lord, For all glories are His forever and ever. Behold at your feet, O Mother of Perpetual Help, a wretched sinner who has recourse to you and confides in you. O Mother of Mercy have pity on me. I hear you called by all, the Refuge and the Hope of sinners; be then, my refuge and my hope. Assist me, for the love of Jesus Christ; stretch forth your hand to a miserable fallen creature, who recommends himself to you, and who devotes himself to your service forever. I bless and thank Almighty God, Who in His mercy has given me this confidence in you, which I hold to be a pledge of my eternal salvation. It is true, dearest Mother, that in the past I have miserably fallen into sin, because I had not turned to you. I know that with your help, I shall conquer. I know, too, that you will assist me, if I recommend myself to you; but I fear, dear Mother, that in time of danger, I may neglect to call on you, and thus lose my soul. This grace, then, I ask of you with all the fervor of my soul, that, in all the attacks of hell, I may ever have recourse to you. O Mary help me; O Mother of Perpetual Help, never suffer me to lose my God. Mother of Perpetual Help, grant that I may ever invoke your most powerful name, which is the safeguard of the living and the salvation of the dying. O Purest Mary, O Sweetest Mary, let your name henceforth be ever on my lips. Delay not, O Blessed Lady, to help me whenever I call on you; for, in all my temptations, in all my needs, I shall never cease to call on you, ever repeating your Sacred Name, Mary! O, what consolation, what sweetness, what confidence, what emotion fills my soul when I utter your Sacred Name, or even only think of you! I thank the Lord for having given you, for my good, so sweet, so powerful, so lovely a name. But I will not be content with merely uttering your name, let my love for you prompt me ever to hail you, Mother of Perpetual Help. Mother of Perpetual Help, you are the dispenser of all the gifts which God grants to us miserable sinners; and for this end He has made you so powerful, so rich and so bountiful, in order that you may help us in our misery. You are the advocate of the most wretched and abandoned sinners who have recourse to you; come to my aid, dearest Mother, for I recommend myself to you. In your hands I place my eternal salvation, and to you I entrust my soul. Count me among your most devoted servants; take me under your protection, and it is enough for me. For, if you protect me, dear Mother, I fear nothing; not from my sins, because you will obtain for me the pardon of them from Jesus your Divine Son. But one thing I fear, that in the hour of temptation, I may through negligence fail to have recourse to you and thus perish miserably. Obtain for me, therefore, the pardon of my sins, love for Jesus, final perseverance, and the grace to have recourse to you and (mention your request), O Mother of Perpetual Help. 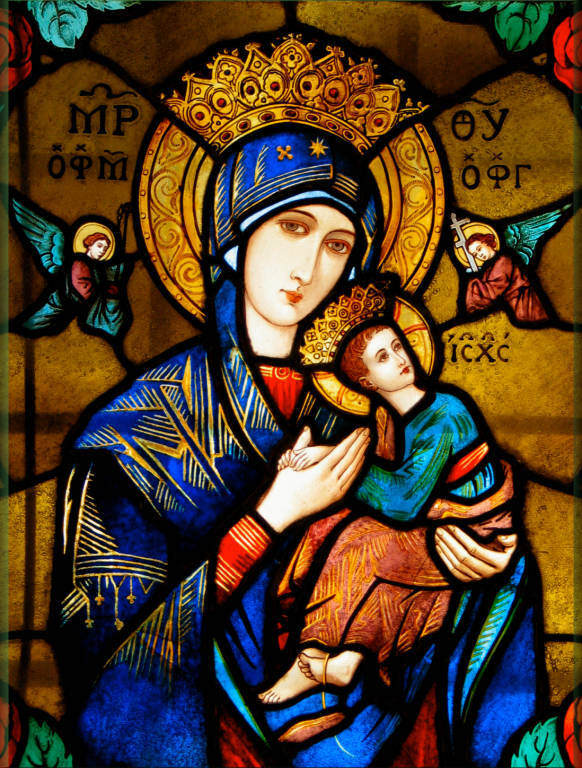 Pray for us, O Mother of Perpetual Help, that we may be made worthy of the promises of Christ. 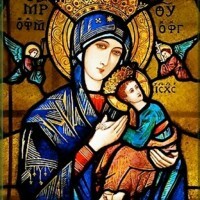 Lord Jesus Christ who gave us your Holy Mother Mary, whose renowned image we venerate, to be a Mother ever ready to help us, grant, we beseech You, that we who constantly implore her maternal aid may merit to enjoy perpetually the fruits of Your redemption, Who lives and reigns with God forever and ever. Amen.